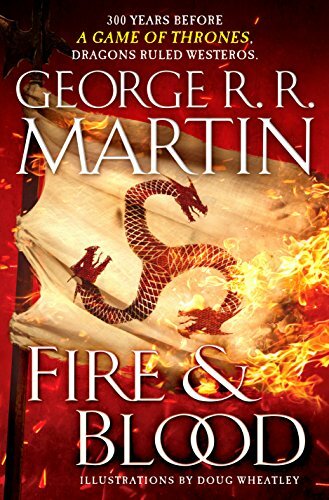 Browse some of the top selling science fiction & fantasy books in Sword & Sorcery from 2019. A top ten of popular science fiction & fantasy books in Sword & Sorcery from 1 to 10. At the bottom of the page you can explore some of the new book releases in this category, if you haven't found what you are looking for in this top 10. If you still can't find your next favorite book or ebook to read in 'Sword & Sorcery' you can try and look for more books by using the search box on the top of the page and search by keyword, author or title. 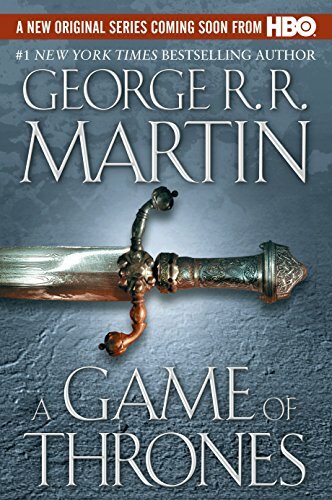 The perfect holiday gift for fans of HBO’s Game of Thrones—a boxed set featuring the first five novels! Experience the first official adventure in Magic: The Gathering’s multiverse in nearly a decade as the ultimate battle begins on Ravnica. 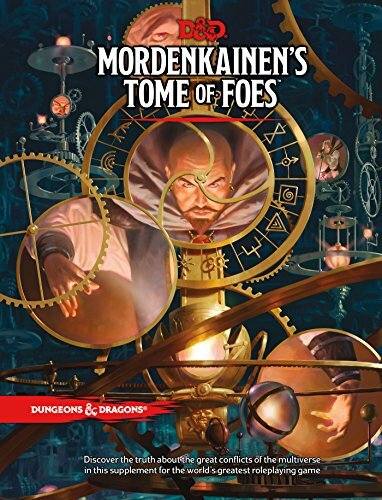 The perfect gift for the Dungeons & Dragons fans in your life or as a treat for yourself. Need a gift for the holidays? A birthday present, a treat for yourself? This is it. 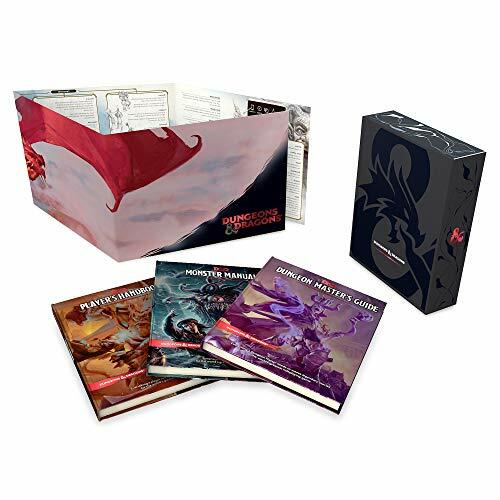 Inside the D&D Core Rulebook Gift Set are special foil cover editions of the three Dungeons & Dragons core rulebooks—the Players Handbook, Dungeon Master’s Guide, and Monster Manual—plus a Dungeon Master’s screen, all collected in a stylish slipcase. It’s the perfect gift for any D&D fan. 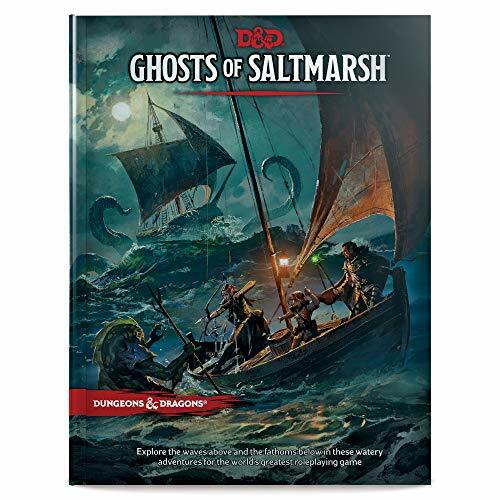 Explore the waves above and the fathoms below in these watery adventures for the world’s greatest roleplaying game. Discover the truth about the great conflicts of the D&D multiverse in this supplement for the world's greatest roleplaying game. Explore a wealth of peril and personalities in this campaign book for the world’s greatest roleplaying game, Dungeons & Dragons. Acquisitions Incorporated is a different flavor of Dungeons & Dragons. 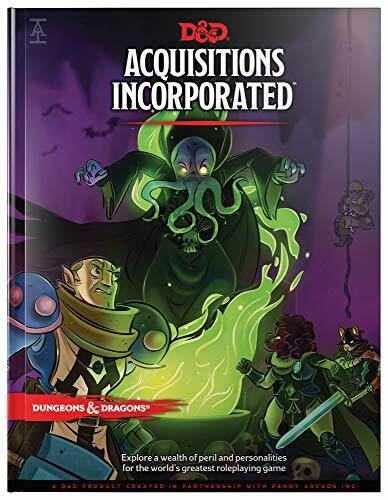 A fifth edition D&D book created in partnership with Penny Arcade Inc. and inspired by the podcast and web series, this book is full of madcap heists, hilarious moments, and all the ingredients you need to include the adventurers of Acquisitions Incorporated in your own fifth edition D&D campaign. Stand with your guild in the first Dungeons & Dragons book to explore the world of Magic: The Gathering. 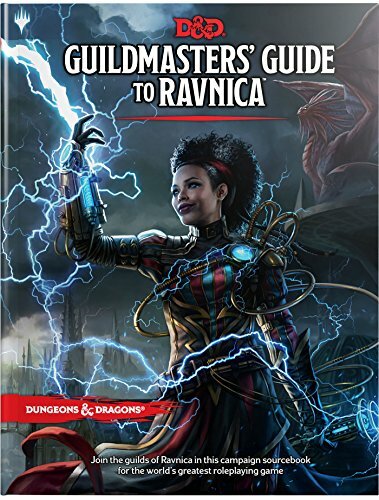 In Guildmasters’ Guide to Ravnica, the world’s most popular roleplaying game meets the world’s most popular trading card game. 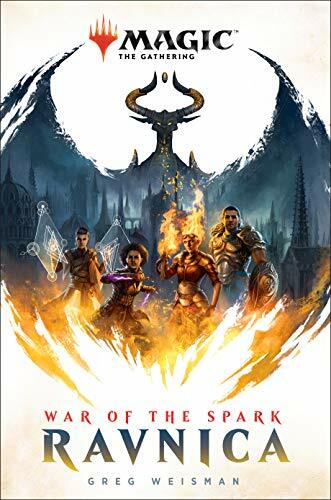 Released to coincide with the Magic set Guilds of Ravnica, it’s the perfect blend of story from the creators of Magic: The Gathering, wrapped around the rules, monsters, and magic of fifth edition Dungeons & Dragons.